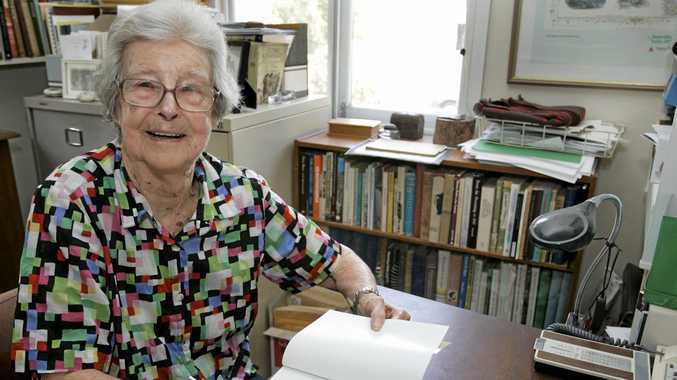 SHE believed there was no age limit on learning, putting her extensive knowledge of Central Queensland to good use in dozens of history books. But in a loss for the whole community, Dr Lorna McDonald has died aged 100. Rockhampton Region mayor Margaret Strelow today said in a statement councillors were "very saddened” to hear of Dr McDonald's death. "She not only recorded our history but left a mark of her own,” Cr Strelow said. "Her contribution in both preserving and recording Central Queensland's story has left a legacy of which her family should be proud. Dr McDonald last September celebrated the launch of an updated edition of The Moving Mind: A Life of Henry Arthur Kellow (1881-1935), which detailed the fascinating story of a Rockhampton Grammar School principal through the First World War and the Great Depression. It was one of 21 books written by Dr McDonald covering a range of Queensland history, from the west through to details of Rockhampton's founding Archer family. But Dr McDonald was not a Rockhampton native. She moved with her family in 1964 after marrying her Rockhampton-born husband Reverand Hugh McDonald in 1938 and raising her three sons in Sydney. Dr McDonald began her research and writing career in her mid-40s, after raising her family. She was passionate about history and last year told The Morning Bulletin it was a subject of study which had changed her life. The region's rich history took her fancy and became the subject of several books, the first of which, Rockhampton: A History of City and District, was published in 1981. 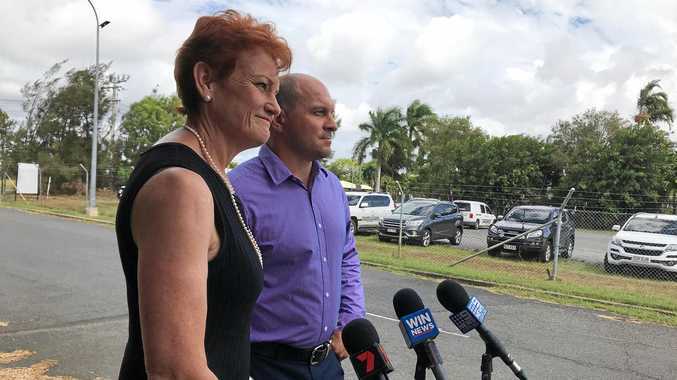 She obtained a PhD through external study at the University of Queensland for her 1985 thesis on the history of the beef cattle industry in Central Queensland. Dr McDonald was appointed Rockhampton Historian 1976 to 1980, and Gladstone Historian 1984 to 1987. In 1995, she was awarded the Order of Australia Medal. Dr McDonald last year said she didn't have another book in her, but continued to read books on a range of subjects and was adamant there was no limit to her potential for learning.